…meaning the colour of money. 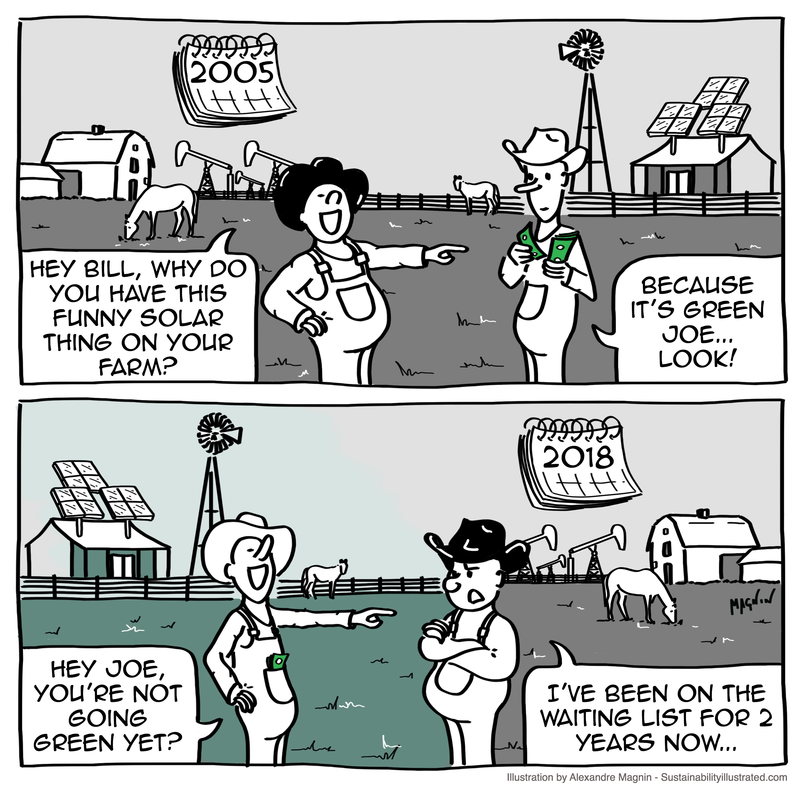 You know shift is happening when Texans are on a waiting list to get solar panels because it makes money. This cartoon was inspired from a quote by climate scientist Katharine Hayhoe.